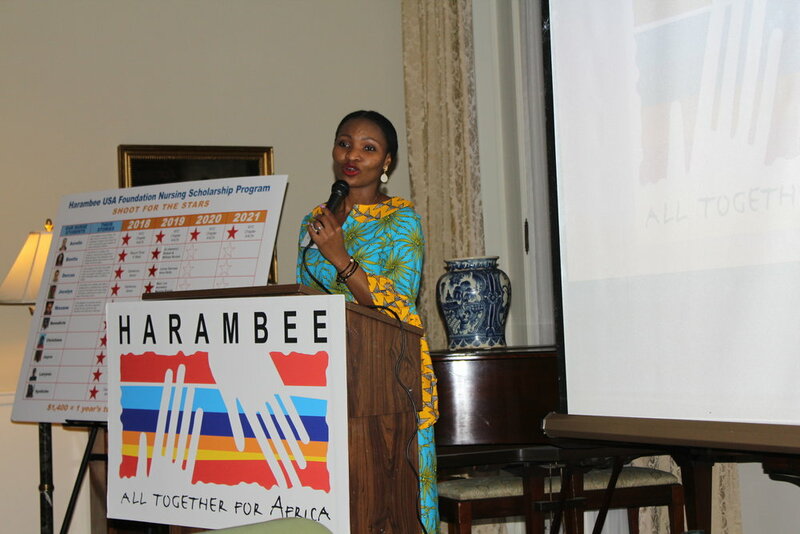 On Feb 23, 2019, I hosted a small gathering of friends to introduce them to Harambee USA’s mission and share a celebration of African culture. 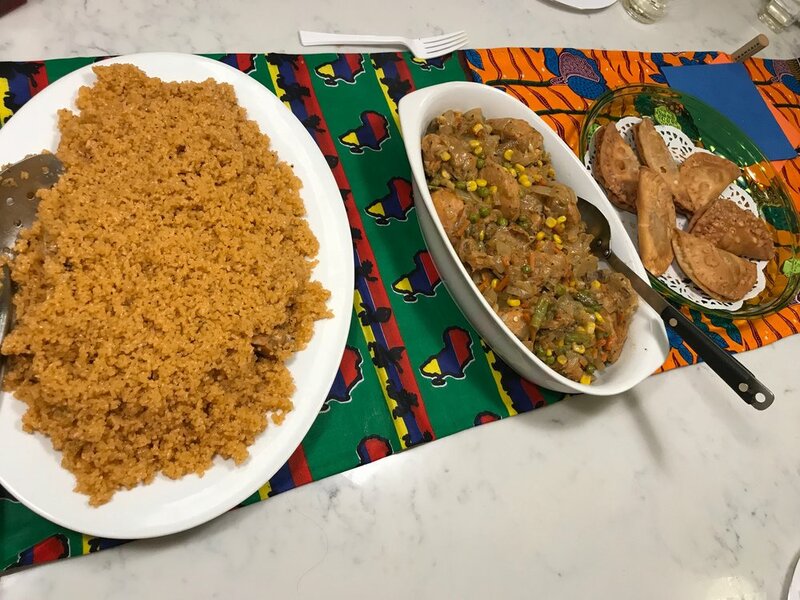 Guests raved about the tasty Ethiopian dishes I had prepared and purchased: sambosa (appetizer), Injera (flat bread), Kitfo (beef), Doro tibs (chicken) and Fasolia (vegetables). 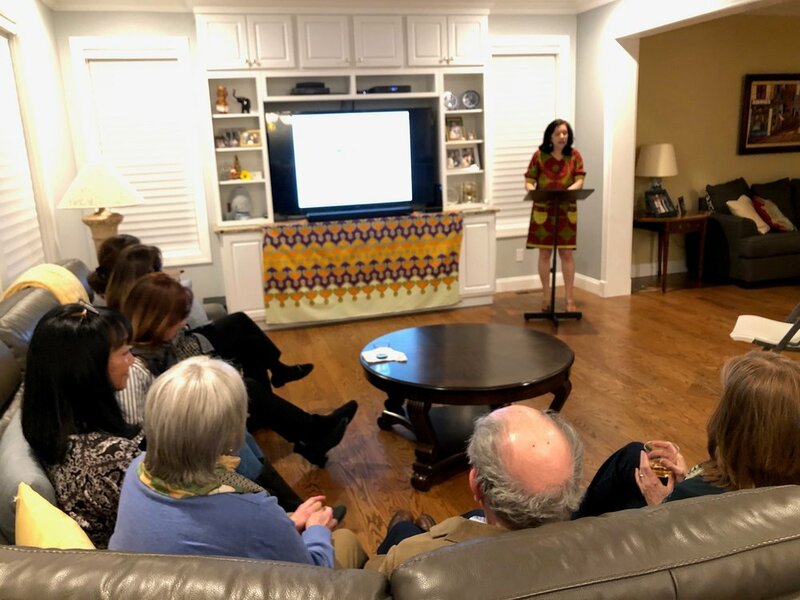 Afterwards, Susan Trammell, another board member, and I gave short presentations about the educational, jobs training and healthcare projects that Harambee USA is helping to fund in Africa with our on-the-ground partners there. 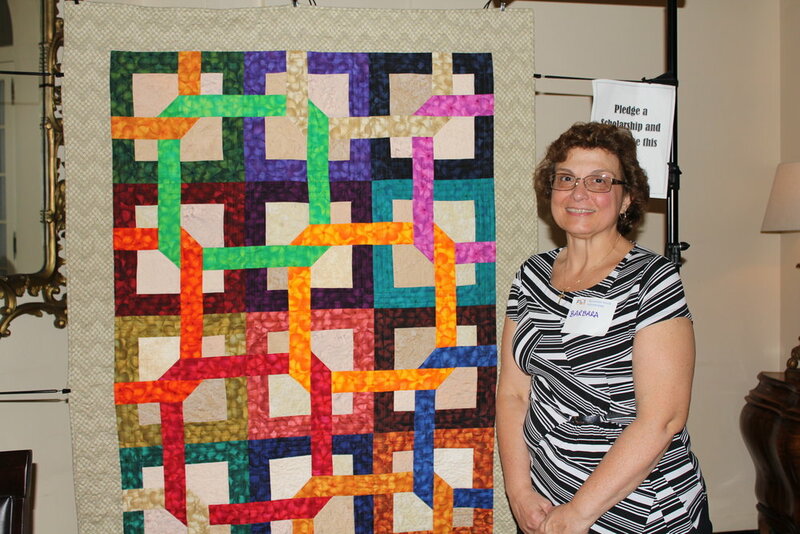 The evening raised $2,700 which will cover the cost of one year’s tuition for an aspiring nursing student in D.R. Congo, two students to attend a learning module at an agriculture school in Cameroon, and one pre-natal care package of an expectant mother in D.R. Congo. 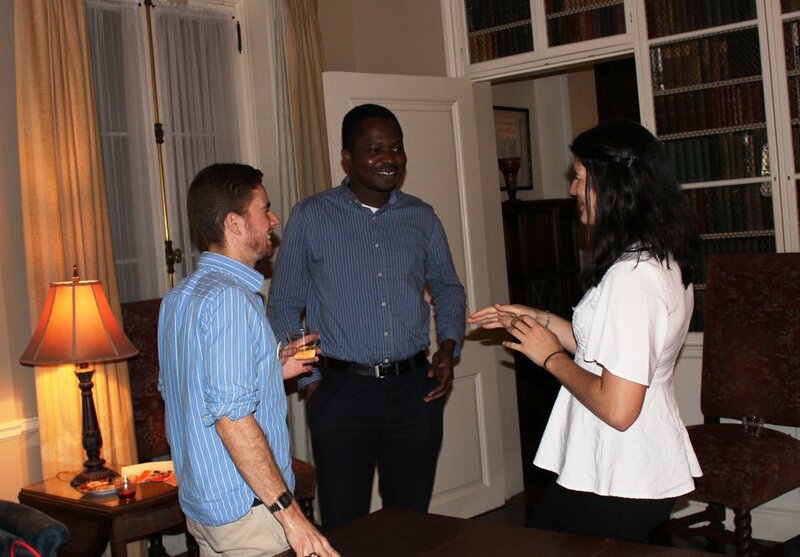 Not bad for an evening of fun and fellowship among people like you and me who want to Make a Difference in the lives of people and communities in sub-Saharan Africa. Harambee!! Nicole Muyulu, Nursing Director of Monkole Hospital Nursing School in D.R. Congo, visited New York’s Mt Sinai Hospital on December 7, 2018. 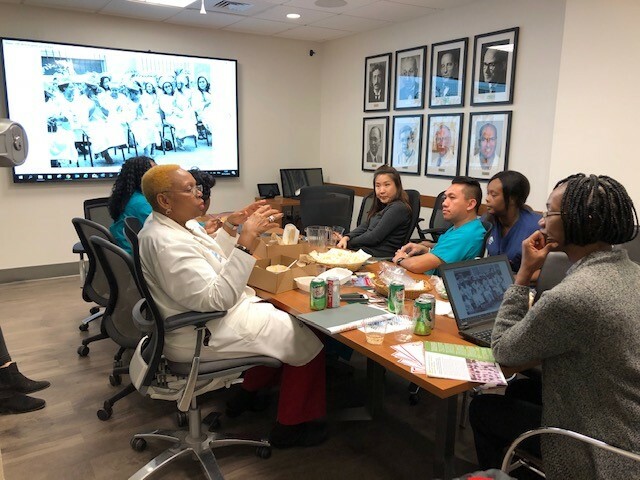 Nicole met with nursing staff and directors, who have been active supporters of Harambee USA Foundation Nursing Scholarship Program. The program provides almost full four-year tuition to aspiring nursing students in the impoverished central African country. 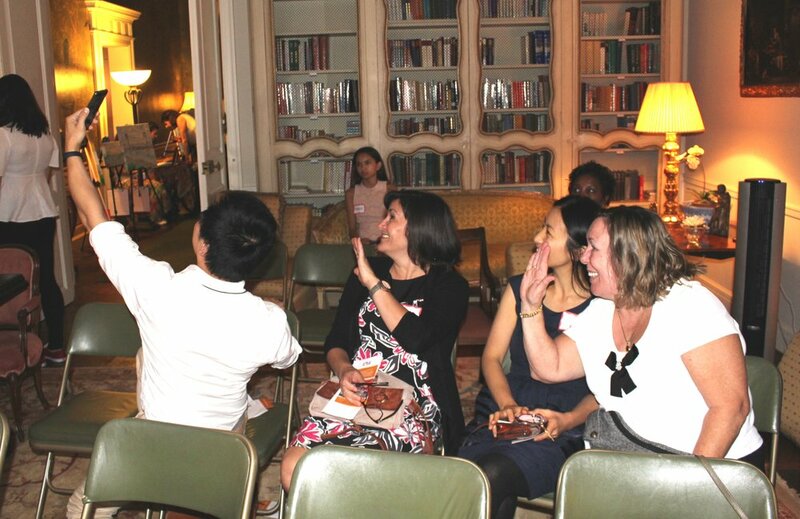 Nicole updated donors with a video and live presentation on the latest developments in the school. Participants engaged her in an enthusiastic discussion, which left them impressed with the school’s high standards and furthered their solidarity with sponsored students. If you would like to be part of our exciting Program initiative, click here. 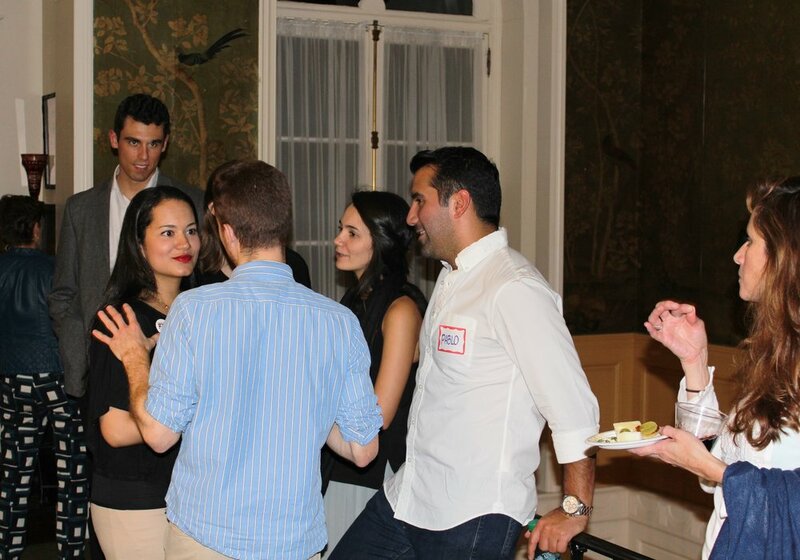 Harambee USA Foundation’s Nursing Scholarship Program hosted a fund-raiser on Oct. 5, 2018 at Alderton House, NYC to support ten nursing students in D.R. Congo’s Monkole Hospital Nursing school. 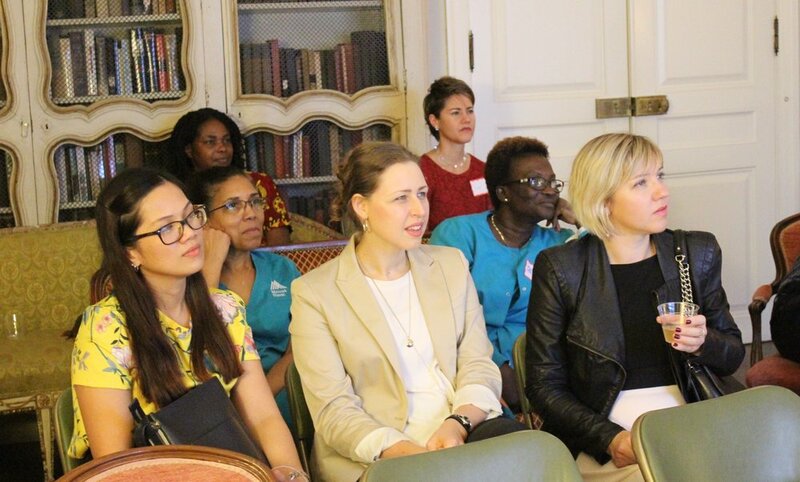 The event attracted many professionals from the medical field, including four nursing leaders from Mount Sinai Hospital, as they felt a solidarity with the nursing students in D.R. Congo. 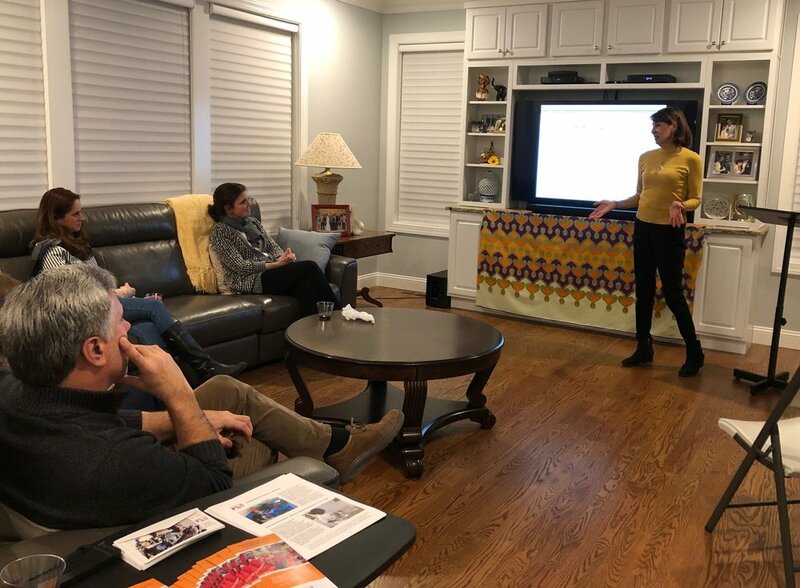 Nurse Practitioner and Harambee Board member, Johanna Valiquette, who is spearheading the efforts, presented a compelling story showing videos and photos of the Nursing school and the 10 nursing students who rely on the generosity of donors and supporters here in the US. 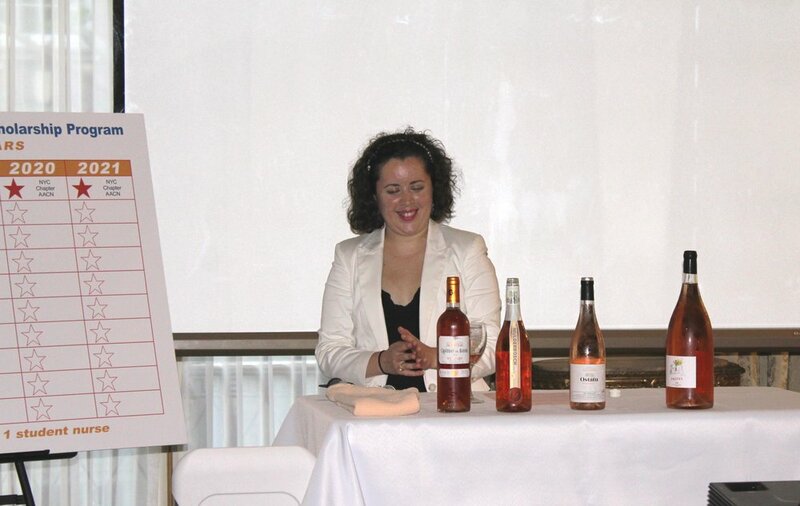 The evening secured funding to cover 1 year’s tuition for 5 of the 10 students. The program has raised half of the $56,000 goal which covers 4 years of scholarship for 10 students at $1,400 per year per student. We invite supporters to continue to join us in this worthy mission. 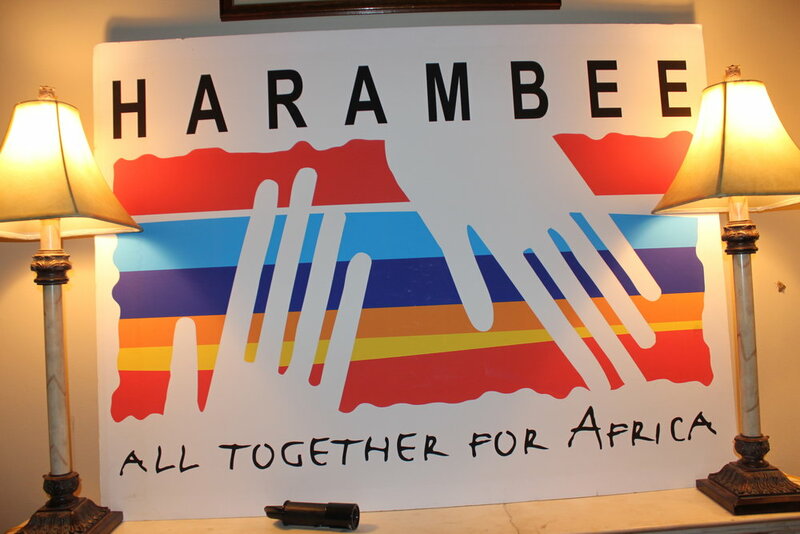 Harambee! 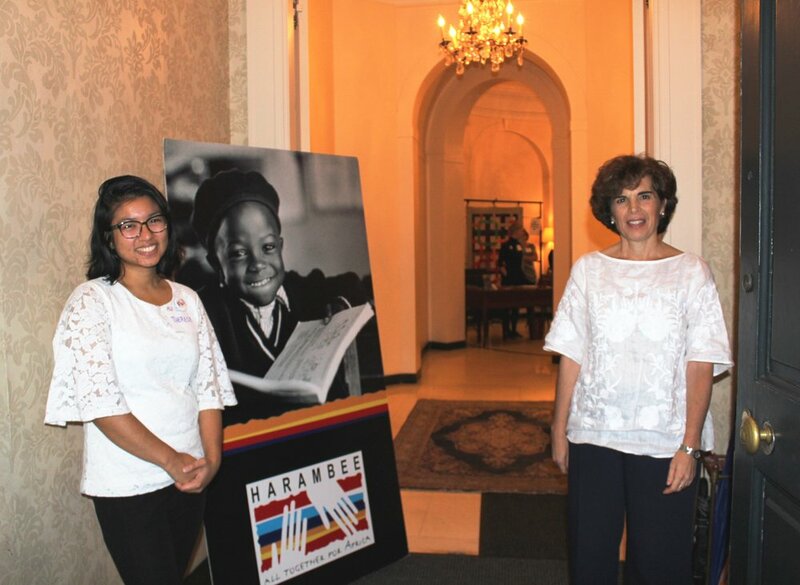 Although many had never tried their hand at painting before, 17 wannabe artists attended “Paint Night", an interactive fundraiser sponsored by Harambee USA. The benefit was held on Sept 14, 2018 at Stone Creek Bar in New York. The enthusiastic group was expertly guided by Ms SoJung Kim, a professional artist, in painting an African themed landscape. 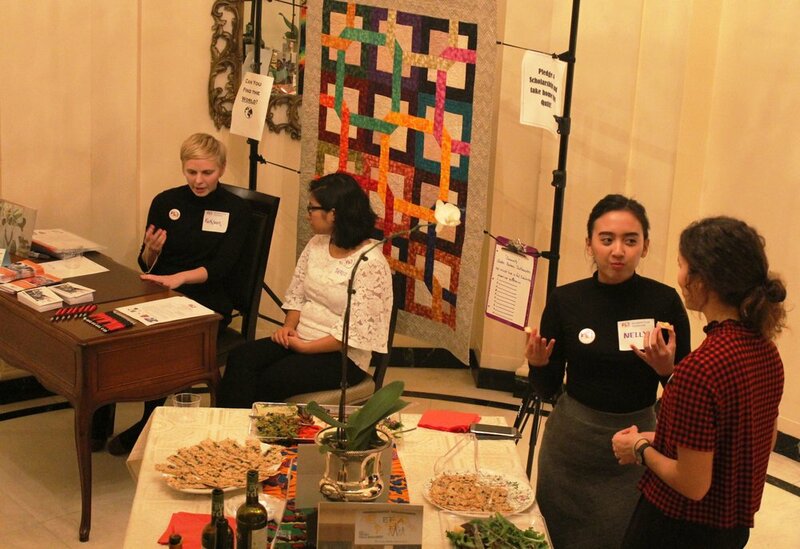 Everyone got to bring home their prized artwork, and participants clamored for another Paint Night that would include African food and music. 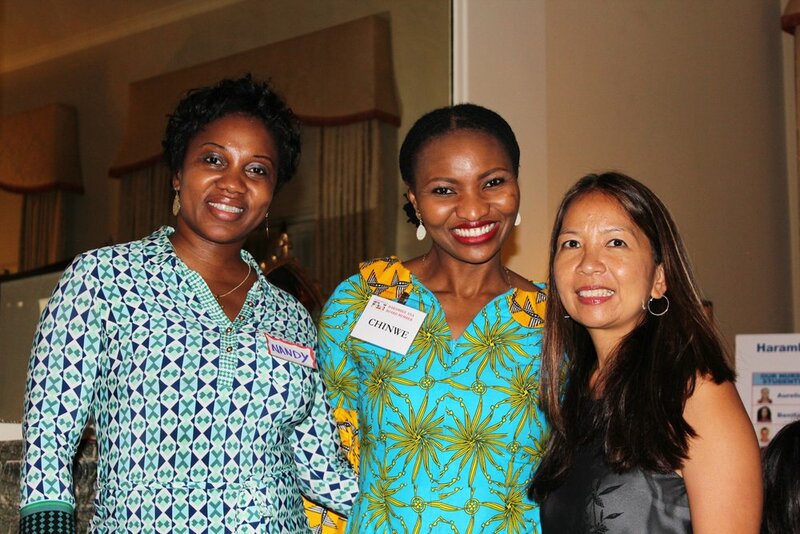 Proceeds of the event will support the Harambee USA Foundation. Many thanks to our attendees and supporters as well as volunteers (Shu, Emily and Vangie) who did so much to make our first Paint Night a special and fun evening. Please join our FUN-raising initiative, Paint Night on Sept 14, 2018, Friday.